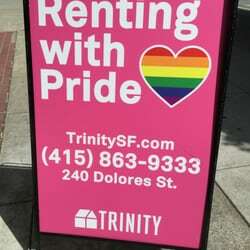 If you’re looking for a peaceful place to live in the Castro/Mission District of San Francisco, Trinity has studio and 1 bedroom units sure to fill your needs. 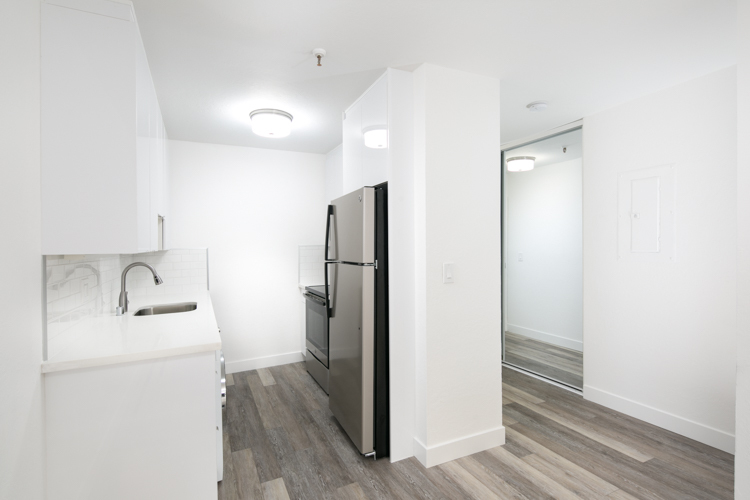 Located at 240 Dolores Street, our Trinity apartments are a short stroll from the beautiful Mission Dolores Park and the world-famous Castro District. Located just off Market Street, these Mission apartments are nestled in a quiet neighborhood lush with trees and parks nearby both Muni lines and the 16th St. Mission BART station. You can be close to work, nightlife, outdoor recreation, and still have a tranquil place to call your home if you choose Casa Dolores. This 160 unit complex is large and offers a spacious common area with a pool, chairs, fountains, and plenty of room to invite a few friends over. Living in an area as vibrant as this, you are sure to have plenty of visitors. San Francisco’s historic Mission District is actually named after The City’s oldest standing building, Mission San Francisco de Asis. This location has long since been desirable due to having possibly the best weather in all of San Francisco. 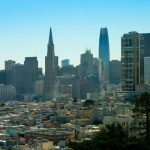 The City’s micro-climates create a system that causes neighborhoods to have differing weather and the Mission’s geographical location is shielded from fog and wind to the west. 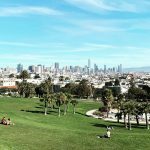 This fog is instead pushed away, leaving Mission Dolores Park to often be sunny with crystal clear skies. Additionally, many classic Victorian homes line the streets of the surrounding neighborhood, creating a colorful and iconic San Francisco setting. Speaking of color, The Castro District and its multitude of rainbow flags is also just a short walk down 17th Street. Known as “The Gay Capital of the World,” The Castro is home to countless bars, restaurants, entertainment, shopping, and much more. This historic neighborhood played a large role in the gay rights movement and continues to be a mecca for equality. In current times, the area is very popular among tourists and locals alike due the culture of acceptance, scenery, and never-ending list of things to do. 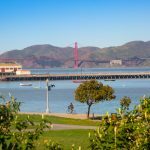 From the many annual and traveling festivals that come to town, to the mainstay venues such as The Castro Theatre, there is always somewhere to go. Luckily, if you don’t want to leave your home these apartments are a perfect place to relax. Away from the bustle of downtown, you’ll be able to sleep easy at night and sunbathe by the pool during the day. 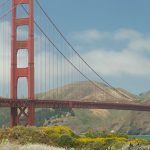 Additionally, if you rent from Trinity you will have the advantage of living in a home managed by the premiere apartment provider in San Francisco since 1949. 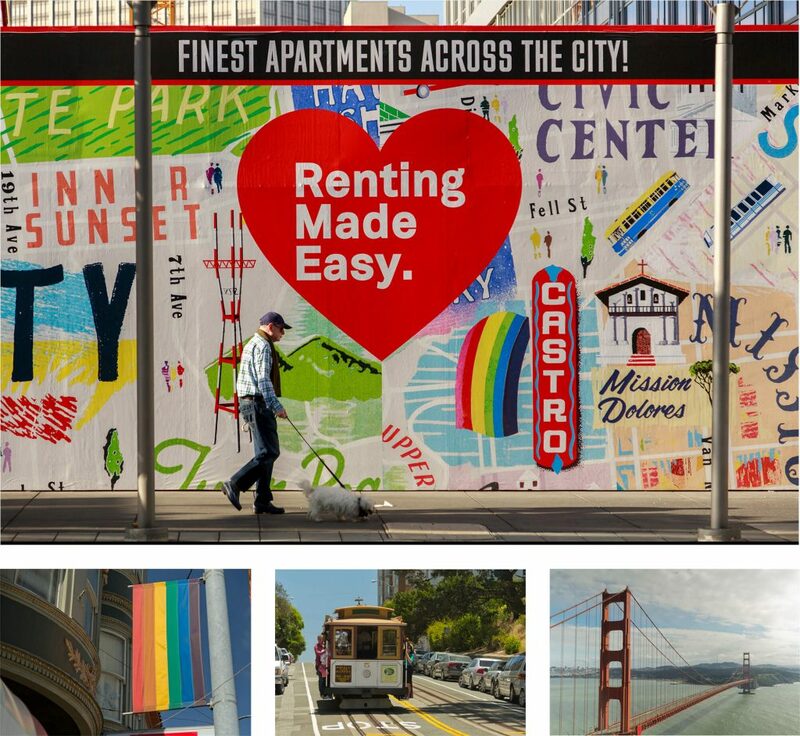 We’ve been in this business for a long time and we love to help provide people with their dream living space in the wonderful city of San Francisco. Once living in a Trinity property you will immediately recognize the phenomenal effort displayed by our property staff. They go above and beyond to serve our residents because Trinity stands for renting made easy. If you encounter any issue while living in one of our fantastic properties we will be there with a smile to help solve it. Although we strive for perfection, sometimes obstacles occur and Trinity is always ready to navigate them. 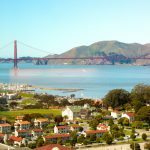 If you want to live at a reasonably-priced and professionally managed property in a beautiful San Francisco neighborhood, Casa Dolores is the place for you. If you’re looking to live elsewhere, check out our other fantastic buildings across the city.